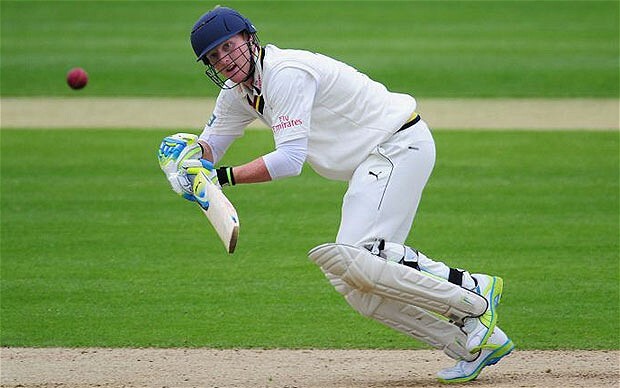 2012 was the year that Northeast started to really show his promise in County cricket. Alongside the experience of Rob Key, he has pushed on and started to convert starts into fifties and hundreds. He managed three centuries last season, including a very impressive 165 against Derbyshire, helping him to finish with an average of 55, more than healthy in a season dominated by the weather and seam bowlers. I do not see England colours for him this year, but perhaps as somebody who later on his career manages to pile on the runs consistently and earning a place at number three as an experienced head, much like Jonathon Trott has. He needs to improve his One-Day form, as he tends to get bogged down early on and get out trying to catch up, but he may end up as a First Class specialist along the lines of Australia’s Chris Rogers and he has had a very good career. At the very least I see him as Kent’s next captain, assuming one of the ‘big’ Counties don’t snap him up first. 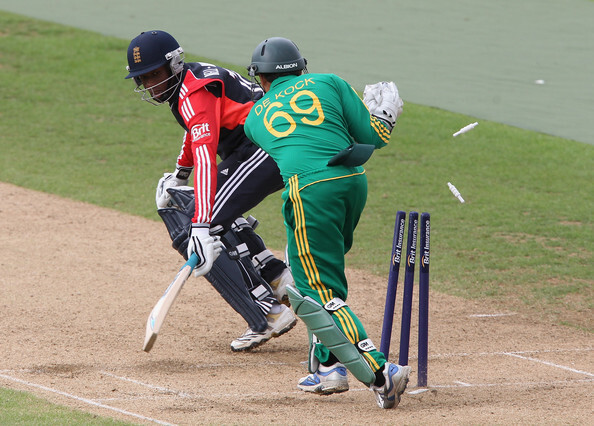 I will say unequivocally that de Kock will succeed AB de Villiers as South Africa’s Wicketkeeper in all formats. Currently, he is the leading runs scorer in First Class cricket in South Africa, with a career strike rate of a preposterous 86.42. He also averages more than one six per innings, showing that this a man that can take a game away from you before you even know you have lost. He has the potential to be a great as long as he is groomed properly and taken care of, especially in this age of year round T20 cricket. He is just as good a short form player though, so keeping his focus away from money and fame may be difficult. A star player in the recent U19 World Cup introduced him to the world with some swashbuckling yet accomplished performances live on Sky, proving himself to be a cut about the rest in a tournament full of potential. South Africa have been tracking him closely and taking him in squads to get used to the international scene without denying him playing time for the Lions. Having only seen him live in the U19 World Cup, I only have his one-day bowling to go by. However, even a cursory glance at his current form for Punjab in First Class cricket shows a young man making a mockery of the notoriously batting friendly pitches. For all of India’s faults in international cricket, not giving Sharma a run in any format is a big one to me. Very much in the mould of Praveen Kumar, he creates prodigious swing both ways to such an extent that, in the World Cup, he had batsman swinging in entirely the wrong direction and leaving balls going harmlessly wide of off stump only to see their middle-stump cartwheeling. He produced a masterclass to bamboozle the Australians in their own back yard in the final, taking 4/54 to set up an improbable India victory. This man must make it to the top if India has any chance of competing outside the subcontinent. My suggestion is a stint in England for the County Championship, as in the early season he will be virtually unplayable. Wickets, coupled with confidence and experience outside India and they would be more than mad not to have him in the test or one day side. Surely this is the year. In a post-Flintoff era where England are obsessed with finding a genuine all-rounder, Stokes may be the man to fill that role. A big hitting middle order batsman with deceptively quick swing bowling who is hugely effective in all three formats. One only has to look at his figures to see how talented he is. In first class cricket he has a high score of 185 and 6/68 in an innings. These were no fluke occurrences as he manages to keep a batting average over 37.5 and a bowling average under 29 which as we know is the sign of a genuine all-rounder. Stokes has been capped by England in 5 ODI’s and 2 T20’s, where he has been solid if not spectacular, but England do seem very keen on him and I’m positive that 2013 is the year where he really declares himself in International cricket. I may even go as far as saying he will be key in the Champions trophy. The only problem so far is him being pigeonholed as injury prone, he really needs to be fit and firing at the start of the season to shut up any naysayers about him. Although, for me, the fact that he carries such good figures in a stop-start early career shows just how good he can be. A year or two injury free and he has more than has the potential to play test cricket and add the balance England believe they need. Currently in India with the England Performance squad, Stokes has shown his all-round quality and, without a doubt, cast himself back in the minds of the selectors and a possibility of getting back into international cricket in New Zealand. If not, the start of the English season will be another opportunity to show what he can do for Durham. From the country that prides itself on its incredible history of tall, fast bowlers, the West Indies have been lacking in the last decade or so with few exceptions. 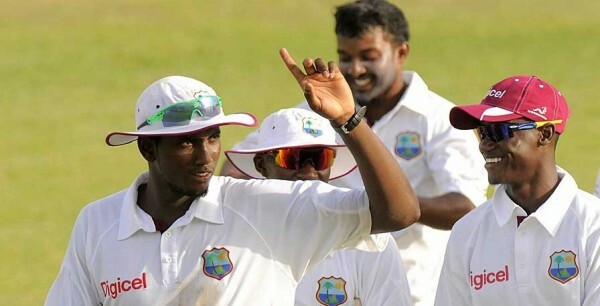 Johnson could be the man to join up with Kemar Roach and bring back some West Indian glory to the test arena. His nickname ‘Sprint’ tells a lot of the story - Johnson is very fast, mid 90’s fast. However the difference between him and other young fast bowlers is his control; his economy rates in first class (2.44) and T20 (6.39) prove this. Coupled with a strike rate of 47.9, his stats do suggest a very promising bowler. My only concern is why has it taken this long for him to be found and given an opportunity at first class level? I don’t know the answer, but I know that he deserves his chance and, watching him bowl, he could do a job with the new ball in test cricket, especially being left-handed, and the combination of him and Roach both bowling 90+mph from completely different angles would be the stuff of nightmares for openers the world around. What he also has in his favour is his batting ability, which is rare in West Indian cricket, and may set him apart from any other up and coming bowlers. I see a bright future for Johnson which I can see starting this year. A Champions trophy appearance should be on the cards and, if he performs well, test cricket should beckon at the end of the year. Good luck to him, as a strong West Indies is very important in world cricket.